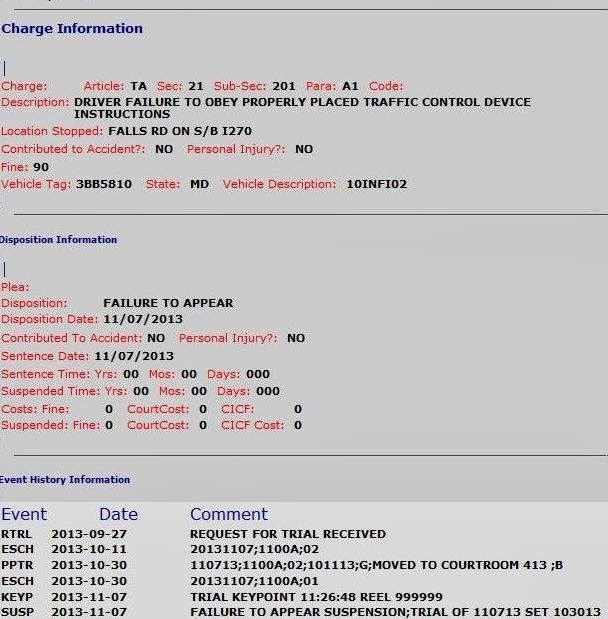 Montgomery County Council President Craig Rice appears to be having trouble keeping court dates for traffic citations, and also racked up over $1000 in unpaid tickets in Maryland and DC, according to online court records. 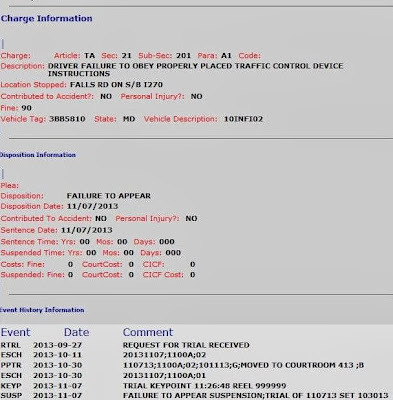 Records from the Maryland Judicial Case Search show that Craig L. Rice, DOB 9/1972, of Coachmans Cir Germantown failed to appear at a district court trial date over a citation for "failure to obey properly place traffic control device instructions". The court record shows a "FAILURE TO APPEAR SUSPENSION", though it is uncertain based on this whether a license suspension is actually in effect. This was first reported on the "Parents Coalition of Montgomery County" blog. A report on WJLA indicated this was over an HOV lane violation. Rice claimed to have paid the violation, although the district court records did not indicate payment. This is not the first traffic incident to appear in records since Rice was elected to the Montgomery County County council in 2010. Online court records show three guilty verdicts for speeding violations dated 2/21/2011, 12/20/2011, and 9/10/2012, each annotated as "FAILURE TO COMPLY SUSPENSION". In addition, the vehicle tags listed in these cases has unpaid parking violations in DC and Annapolis. As of the morning of 12/9/2013, the 2 tags showed in the above records (MD 3BB5810 and 2AA1682) showed multiple unpaid tickets in DC for parking violations, speeding, and failure to display current tags. "(This is) absolutely news to me," Rice stated to WJLA "I've never seen these before." Rice blamed his leasing company for not forwarding tickets to him, according to WJLA. When asked whether he felt he was above the law Rice responded on camera "I would never, ever say that (or) would I feel that way," he said. "Just as I've taken care of everything else that's come about, if this is indeed valid, I'll certainly take a look at it." By 4pm that same day all of the DC parking tickets listed above were marked as paid. Council member Rice was selected by the council to serve as president for a one year term starting last week. Before joining the county council in 2010, Rice was a member of the Maryland House of Delegates where he voted in favor of statewide speed cameras in 2009. Rice has also served as a representative to the Maryland Association of Counties for Montgomery County. Rice had previously caught flack over illegal parking back in 2009 as well.